January needs a bit of radiance. As I sit here typing, the sky is battleship grey and the rain is coming down in the most persistent of fashions. The heating is on and I’m nursing the dregs of my cuppa like my life depended on it. Radiance is something that is sorely missing from my life right now. 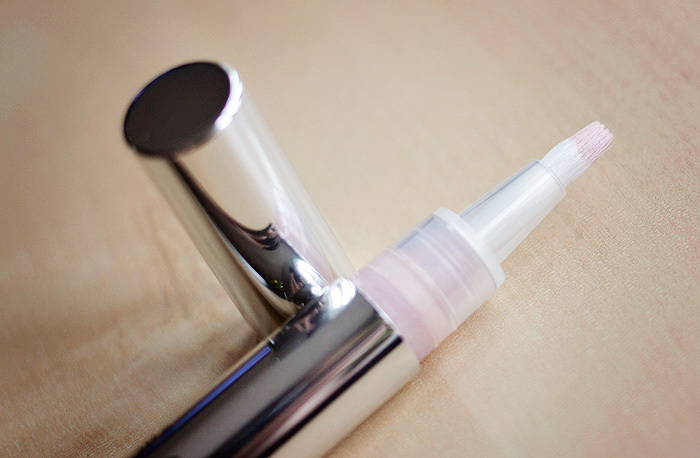 I love a good highlighting product, but in particular, I’ve always been drawn to the clicky-clicky pen types that dispense their glow onto a precision brush. The most well-known of these is undoubtedly YSL’s infamous Touche Eclat, a product that has topped the bestselling lists for over two decades. 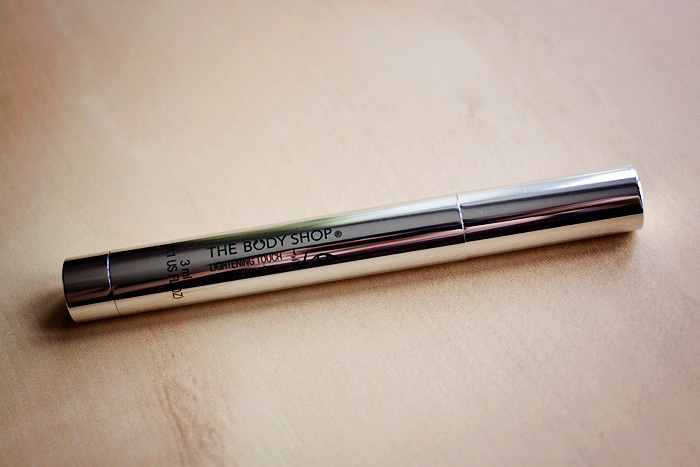 The Body Shop’s Lightening Touch Universal Radiance is a “one-shade-suits-all” radiance product that should not be confused for a concealer. In fact, the brand does a rather impressive range of similarly-packaged concealing products in a variety of skin-loving shades. This one however, is pure highlighter. A few twists of the base will prime the pen and allow the product to flow into the brush tip. The first thing you’ll notice is the shade, a pearly pink that glistens with reflective particles. In my opinion, this isn’t quite as universal as promised. Undoubtedly more suited to skin tones with a rosy undertone, those with darker or olive bases would benefit from something with a warmer, less silvery hue. 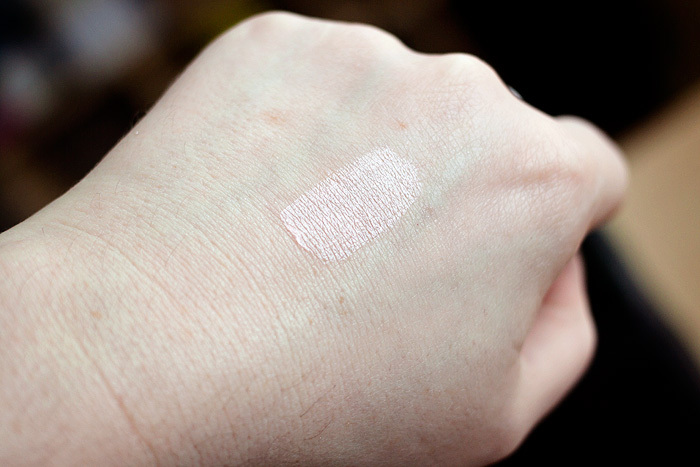 The texture is fluid, light and blends beautifully with the fingertips. You can work it into the skin for a sheerer finish or aim for a gentler touch to create a more prominent highlight. Perfect for use across the brow bones, cheekbones, and cupid’s bow, the precision brush delivers pinpoint accuracy to ensure you don’t end up looking like a disco ball. I raided my collection of highlighters to dig out some comparisons which you can see below. 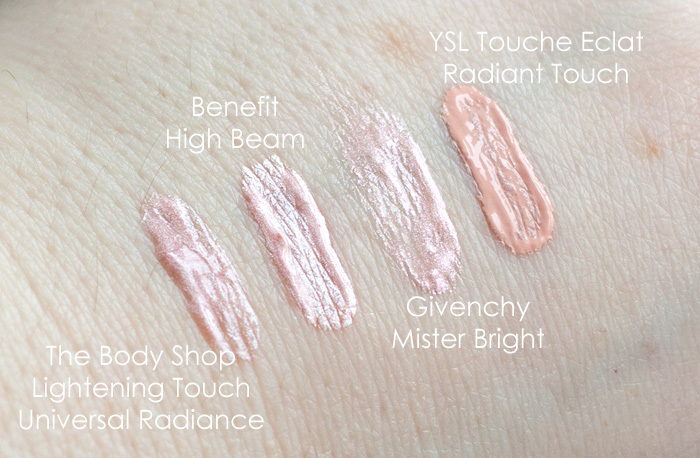 Most interesting to note is how completely different The Body Shop Lightening Touch Universal Radiance is from YSL’s Touch Eclat Radiant Touch which delivers a more subtle and less sparkly luminosity to the skin. Closest in appearance is Benefit’s High Beam and Givenchy’s (discontinued) Mister Bright. An interesting point to note though is that Benefit’s offering delivers 13ml of product for £19.50 compared to The Body Shop’s offering of 3ml for £14.00 – I’m just not entirely convinced that the convenience of a pen delivery system is worth an extra £3 per ml! Elizabeth Arden 8hr.... Sun Cream? A Lush Afternoon For Mums!